A divorce touches nearly every part of one’s life, including finances, living situation and daily routines. For LGBT divorcing couples with children, additional considerations must be made. 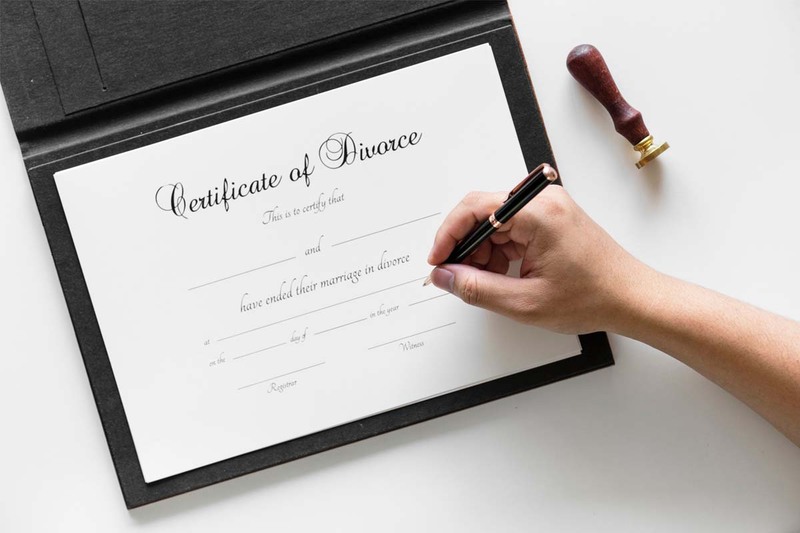 Divorce proceedings can be complicated, and most people have never navigated them before, so it’s good to be prepared. In this post, we’ll cover a few of the legal terms that you’ll encounter during this process, to help get you get started. Every decision made during the divorce process that could impact the couple’s children should begin and end with considering what is in the “best interest” of the child. In simple terms, this means putting aside what either parent may prefer, and focusing on what will be good for the children. In fact, this is the main factor the judge will take into account for any decision affecting children. In some cases, this may mean inconveniences or difficult compromises for a parent (i.e. staying in relatively close proximity to an ex so that the child can remain at the same school). Just as marriage comes with a set of legal rights and responsibilities, legal parentage does as well. It means more than just acting as a parent, and instead is a legal status indicating that you are legally responsible for the child. For LGBT couples, this is particularly important as it is likely that at least one parent will not be biologically related to the child. For non-biological parents, being listed on the birth certificate does not guarantee legal parentage. Instead, other steps must be taken, such as a second-parent or stepparent adoption. During divorce proceedings, legal parentage is of utmost importance, and will play a role in determining custody. However, if legal parentage has not been established, you still have options. We suggest contacting an attorney to learn more. The parenting plan is the key legal document that will spell out what the child-parent relationships will look like after the divorce. For example, it will include details about legal custody, which as we discussed in a previous post, “determines whether a parent is legally responsible for the child, and is entitled to make decisions for them,” as well as physical custody, which determines where the child will live. It will also include financial details such as child support, visitation specifics, parenting preferences (i.e. religion, discipline, internet usage, medical treatment) and more. It is a court order, which means legally it is very strong. It can be utilized out-of-state, so long as it was signed before the parent left CA. Visitation is essentially a set schedule for when the child will spend time with each parent. It is one of the items included in the aforementioned parenting plan, and is primarily based on the best interest of the child, with the goal to keep their life as safe, healthy, and stable as possible. The visitation plan will take into account things like which school they attend, extracurricular activities and hobbies they take part in, and more. This plan will not only spell out specifics about which days the child spends with each parent, but can also include logistical details such as who is responsible for transportation, exact timing for visits, and more. To learn more, see our post on child visitation plans. In some cases, it will be determined that it’s in the best interest of the child to spend most or all of their time living with one parent. In other words, this parent is considered “home base” in a shared custody situation. This is often the case if one parent moves far away, or is deemed less fit to take care of the child on a regular basis. In those cases, the child could have a specific visitation schedule to visit the other parent (who is not the primary custodian), such as on weekends or on some holidays. Note that a primary custodian is different from sole custodian, in which case the other parent does not have visitation rights. Divorce proceedings for LGBT families can be particularly sensitive due to the potential complications of legal parentage, as well as the complex legalities regarding LGBT parents overall. We invite you to set up a free, no-commitment consultation with our skilled attorneys, who specialize in LGBT family law. Call (855) LAW-LGBT to set up an appointment at either our West Hollywood or Palm Springs location.